Geography: South East, Surrey. The whole of the Woking council area and part of Guildford council area. Main population centres: Woking, Byfleet, Pirbright. Profile: Woking is the largest town in Surrey and like most of the county is generally affluent and successful, though there are pockets of deprivation such as Sheerwater and the Lakeview Estate. The town also has a substantial Pakistani Muslim population, a result of Woking having the the first purpose built mosque in Britain (the Shah Jahan Mosque, built in 1889) and the workforce of the old rubber factory, and a substantial Italian community. To the west of the town is the village of Pirbright, the home of a large Army Training Centre. Politics: Woking is a Conservative seat, held by the party since its creation in 1950. The main challenge to them used to come from from the Liberal Democrats, but with their collapse the Tory majority has swollen to an ultra safe forty percent. JONATHAN LORD (Conservative) Born 1962, Oldham. Educated at Oxford University. Former Marketing consultant and former director of Saatchi and Saatchi. Westminster councillor 1994-2002, Surrey councillor 2009-11. Contested Oldham West and Royton 1997. First elected as MP for Woking in 2010. JONATHAN LORD (Conservative) See above. CHRIS TOOK (Liberal Democrat) Born 1980, South Wales. Educated at Kent University. Company director. Canterbury councillor 2003-2007. Contested Canterbury 2005, 2010. ROB BURBERRY (UKIP) PR consultant and broadcast journalist. Contested Woking 2010. RUTH TEMPLE (Magna Carta Conservation) Contested Woking 2010. Horrified to hear that Barnaby. I’m rarely in London these days, and such news is unlikely to persuade me to visit more often. I do recall a fruitless search for a proper pint in Birmingham a few years back though…a place for which ‘dump’ is probably not really a sufficient description…. Ahhh I can help you there. Birmingham itself, and Coventry, are not generally very good ale-drinking places (though there are some classic boozers in Digbeth, very far from being a salubrious area). IF on the other hand you visit the Dudley N & S constituencies, and to some extent Stourbridge, you will be in one of Britain classic ale-drinkers’ areas. Happily we still Holdens & Bathams & there is a lot else besides. London’s best ale-drinking area is probably London Bridge. There are at least a dozen really good pubs. And, as yet, I have not had the displeasure of bumping into Simon Hughes in any of them (though in 1983 I did once have a pint with Peter Tatchell in one of them after canvassing for him). I was born the year of that by-election and I have read about what a nasty campaign it was. A persons sexuality has nothing to do with a persons policies and should not be used gainst them to score points. I am not particulary aligned to any party so that isn’t anti Liberal or pro Labour post. Theres good and bad politicians in all parties. I can actually see Labour winning Bermondsey and the all other Inner London Lib Dem seats. Tories are about 8-9% down here I think since 1992 yes – can’t quite recall what the boundary changes were in 2010. The Tories had an absolutely massive fall here in 1997, even by that year’s standards, because not only was there the Referendum Party standing, but there was also the presence of an Independent Conservative candidate- so much so that in 2001 the Tories’ recovery in vote share was well above average when said Independent Conservative didn’t stand again. But the Lib Dems have done quite well here in the last few elections, I think they’ve long had quite a presence locally- although this is still a safe Tory seat, (they’ve got over 50% at the moment) it’s actually the parties’ most marginal majority wise in the whole of Surrey, certainly compared to their other strongholds. There aren’t any other Inner London Lib Dem seats. Brent Central and Hornsey & Wood Green were never in the ILEA area, and I don’t think, but could be wrong, they were ever in the LCC area. Is the perception of Inner London changing, as people also think London should grow outwards? 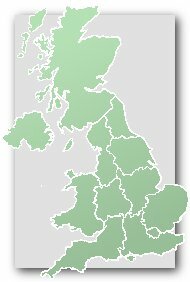 My wife is from Clapham, and cannot believe that people really think think that most of Croydon is now part of South London. It wasn’t like that when we moved to Yorkshire in 1993. The Lib Dems used to control Woking council. Recently they have fallen back a long way and the council is solid for the Conservatives. The Parliamentary seat includes a couple of safe Conservative wards from Guildford Council, whithout which it could have been very marginal in the 2000’s. Labour have begun to win council seats again and the unpopularity of the Lib Dems should ensure an increased majority for Jonathan Lord. Course you can’t drink decent ale in Birmingham. Two thirds of the population don’t drink any alcohol. You can but you have to know where to go. Plus plenty of people pass through big cities without actually living there. Must we endure these stupid posts? The move of Surrey County Council to Woking was effectively scuppered by my election as County Councillor (Lib Dem) in 2005. The plan was to move it to Horsell a seat then held by a Tory Exec member who lived in Byfleet. I stood against him and won what was a very safe Tory seat. I spent my first year on SCC asking lots of questions about the costs of putting a palatial corporate office on the edge of common land when there were loads of empty offices in Surrey. A combination of finance issues and Tory jealousies about making Woking the effective county town led to a Tory revolt and the dropping of the project. Needless to say Horsell reverted to type in 2009! On the Maybury and Sheerwater front, that ward has elected Muslims from all 3 main parties in the last 10 years. Amusingly Labour won that seat at a by-election following the prosecution of the sitting Lib Dem for electoral fraud. The prosecution was brought following complaints by the Tory who was beaten by a very few votes in the original election. I think it is fair to see that the majority of voters there do not vote according to the party label. The electoral fraud complaint in that ward was brought by the Labour Party, as it was the Labour candidate that lost narrowly to the LibDems. The LibDem councillor was found guilty of electoral malpractice and disqualified and various LibDem activists were also criticised strongly by the judge. The Conservatives won the ensuing by-election in the ward in autumn 2013, with Labour in second place. But Labour beat the Tories in the local election in the ward in May 2014. Currently there are two Tories and one Labour in this three member ward. The Muslim community in Woking now splits fairly evenly between Tory and Labour in local elections, but the Conservatives have almost certainly enjoyed a very big lead over Labour and the LibDems from this community in recent General Elections because of the genuine popularity (and assiduous attention to casework) of both Humfrey Malins and Jonathan Lord. No boundary changes to the Woking seat in 2010. Significant boundary change prior to 1997 election took, as I understand it, all the Ash wards (which continue to be in Surrey Heath Borough Council area) out of the Woking constituency. These Ash wards were, and remain, extremely Conservative in their voting habits. Woking constituency obviously ceased being heavily oversized ‘overnight’ – the Ash wards were put into the Surrey Heath constituency – and several thousand votes would have been lopped off the Tory majority in the Woking seat, from 1997 onwards, simply due to this change of boundaries. So you can’t properly compare the 1992 Woking GE results to the 2010 Woking GE results without taking into account this significant ‘loss’ of Tory territory. To confirm one other recent assertion on this thread, Woking does indeed have the smallest Conservative majority of all the eleven seats in Surrey, and this is true in both numerical and percentage terms. However, Guildford and South West Surrey have both seen very significant swings from the LibDems to the Tories in recent General Elections – both seats were highly marginal in the quite recent past – and there is no reason to think that the Woking Conservatives can’t pull even further away from the LibDems at both local and general elections. The whole of Surrey is now solid territory for the Blues….I wonder whether Kwasi Kwartang MP in Spelthorne might possibly have the smallest majority next time….UKIP have been on the rise in that seat in both the locals and the Euros…. Back of the envelope calculations re. the Woking constituency boundary changes immediately prior to 1997…if it was all of the three Ash wards removed, as I understand it was…. Roughly 15,000 voters taken out of the Woking seat (the three Ash wards), and, judging by local election results, this equates to a plurality of Tory votes over LibDem votes of, very approximately, 5,000 on a general election turnout. One or two corrections for you. The Ash area is in Guildford borough not Surrey Heath though it is in the Surrey Heath parliamentary seat as you correctly say in 1997. The area which was included in Woking was the then two Ash wards of Ash and Ash Vale. Tongham was a separate ward and was at that time part of Guildford constituency. I’m grateful to Pete Whitehead for those corrections. It says in the profile above that Chris Took previously stood in Canterbury in 2005 and 2010- It was actually Ashford, another Kent seat he stood in.